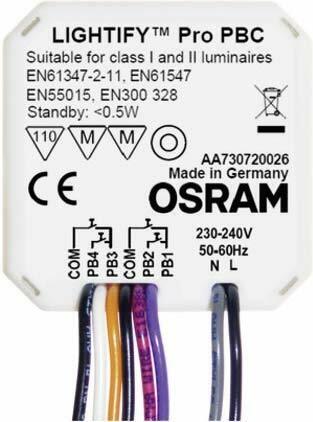 - The Osram Lightify system is based on the 2.4 GHz Zigbee wireless technology and has a theoretical range of 100 metres. - According to the manufacturer, the LED lamps should last up to 20,000 operating hours. - The system consists of networked LED lamps that can be centrally controlled by means of an app via smartphone or tablet PC.